today is friday the 13th (and it's actually the second friday the 13th we've had in 2017 - the last was in january). can you believe that approximately $800 to $900 million is lost in business in the u.s. on this day because people are afraid to fly or do business as they normally would! i'm keeping my fingers crossed for a peaceful friday the 13th today as we load on our first broadway tour of the season in the theatre! 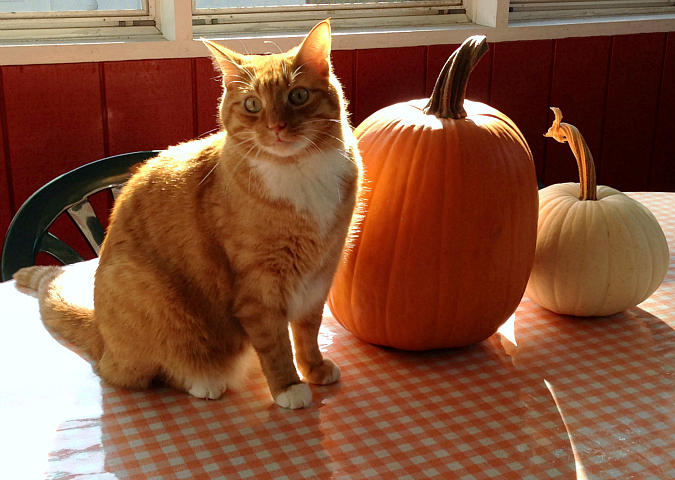 I love the photo of Leko and the pumpkins. So pretty! 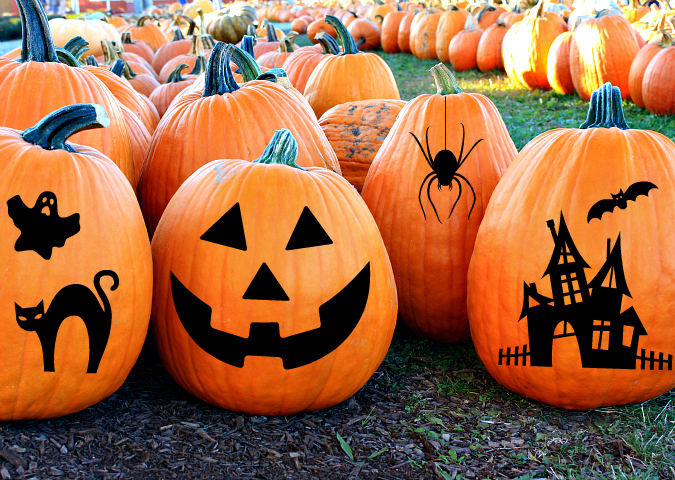 Great idea to put black silhouettes on pumpkins rather than cutting them out. I want one of the furry pumpkins with a tail. What pumpkin-patch did you pick that out of?